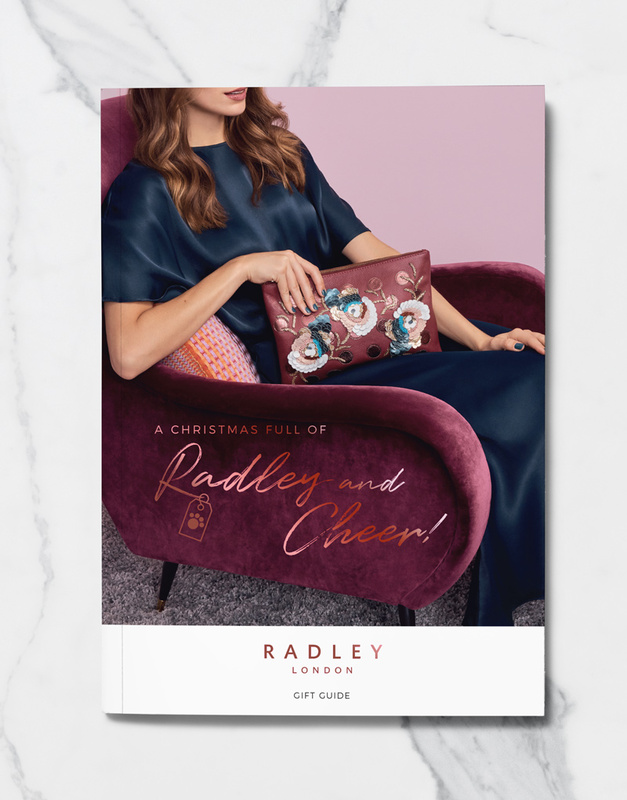 In 2018 I managed the Radley London graphic design team on a contract basis, spanning marketing, Ecommerce, and VM; including delivering the Christmas 2018 campaign across all channels. 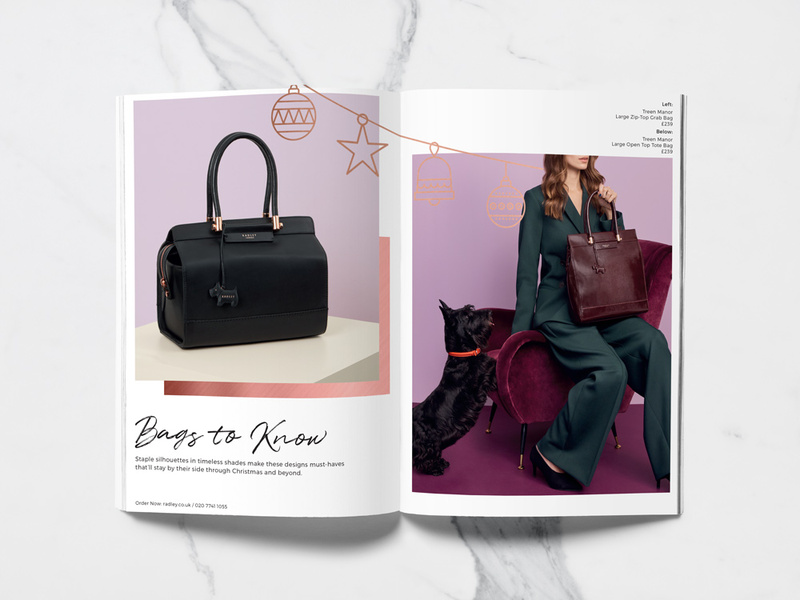 Art direction for the Christmas campaign shoot; design and artworking of the Radley direct mail brochure. 28pp with Rose gold foil detailing. Email and social media designs for the Christmas 2018 campaign. 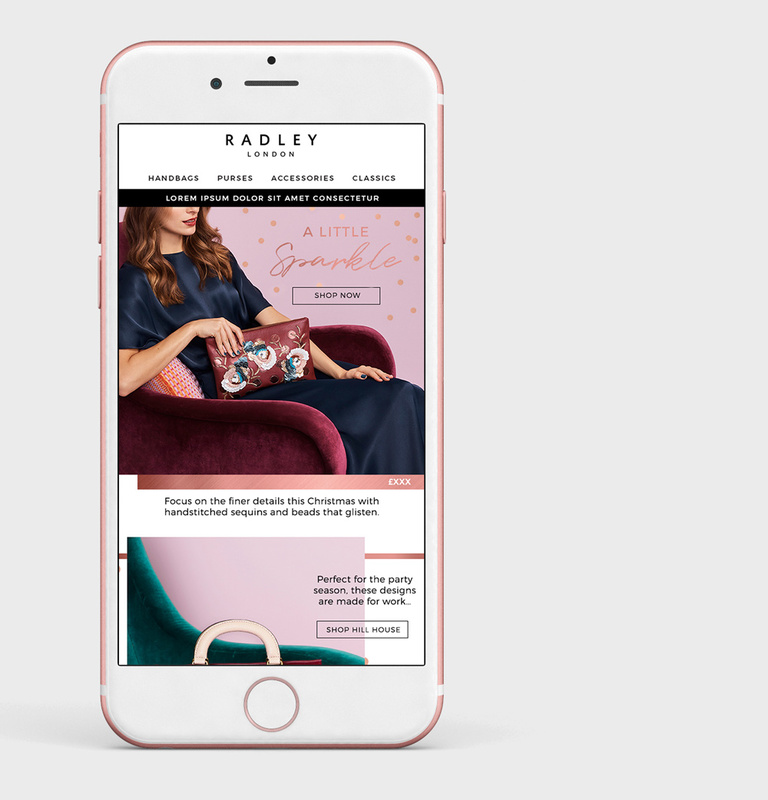 Wireframe and visual layouts for the radley.co.uk re-design; rolling out Christmas campaign imagery across all device sizes.